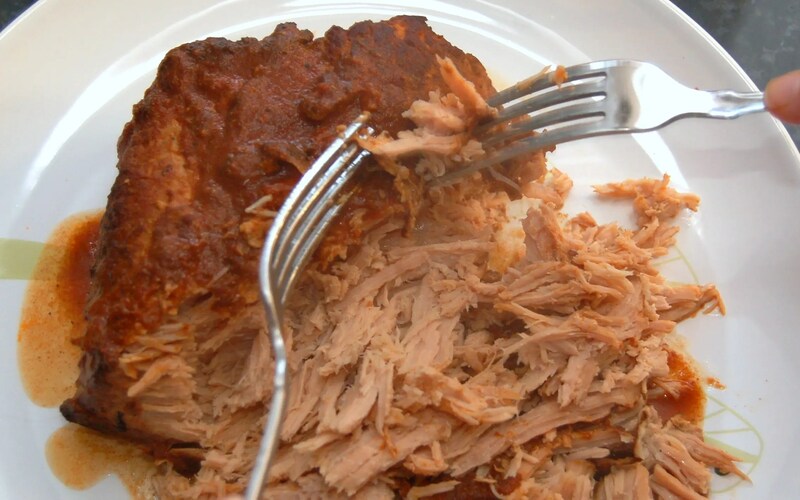 Tasty pulled pork works great in a taco and the crock pot certainly makes it easy on the cook! Serve with coleslaw and maybe even pineapple salsa, and you’ve got a great meal your family will ask you for again and again. 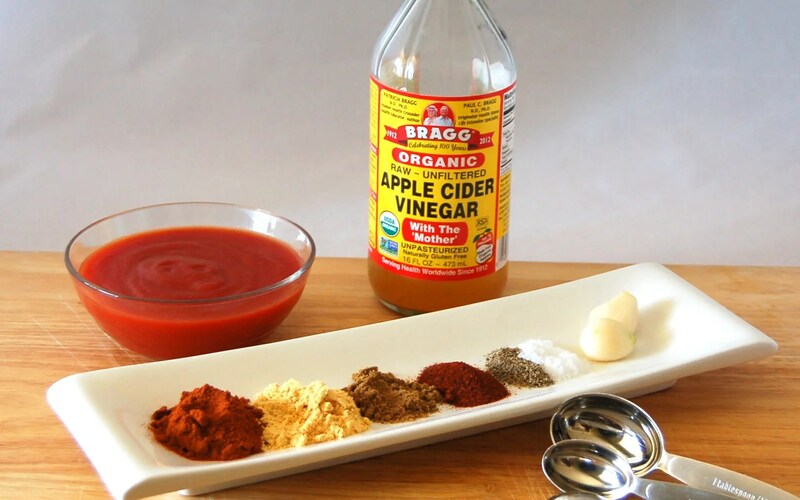 In my effort to reduce the amount of refined sugar in my everyday meals, this recipe has no added sugar (so no ketchup or bbq sauce) but it has extra flavor! When I make pulled pork I usually use pork loin because it has less fat. 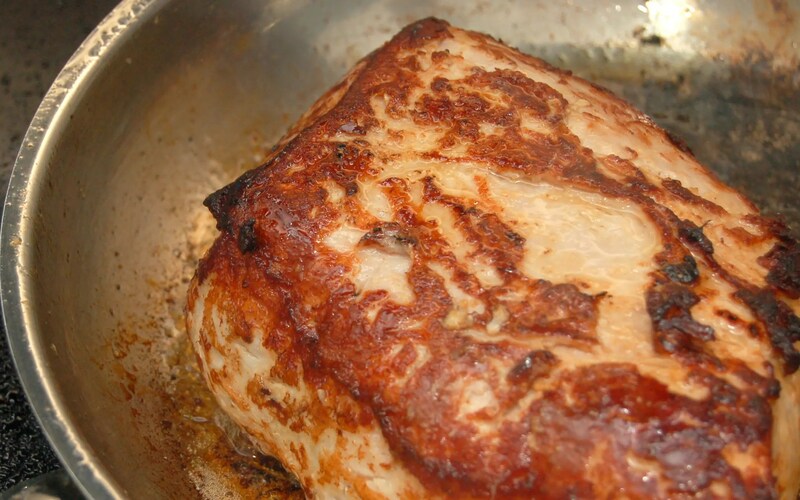 I always sear the pork in a hot pan. Caramelized meat = good flavor. 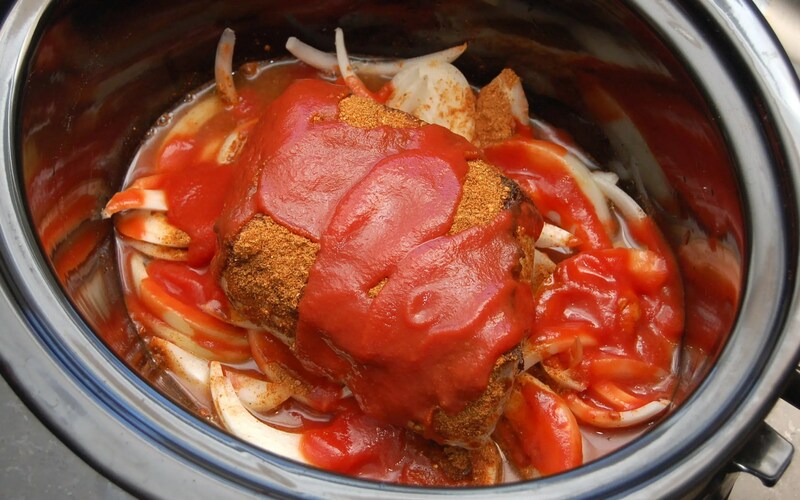 I place my seared pork on a bed of onions in the crock pot then add the spices, tomato sauce and vinegar. My crock pot has a tight seal on it, so I don’t have to add liquid other than the vinegar and tomato sauce. I usually turn the pork over in the crock pot to mix up the sauce and the spices a bit, then put that baby to bed for 7 hours on low. When it’s finished cooking, it should look something like this. Remove the pork from the pot and shred using two forks. 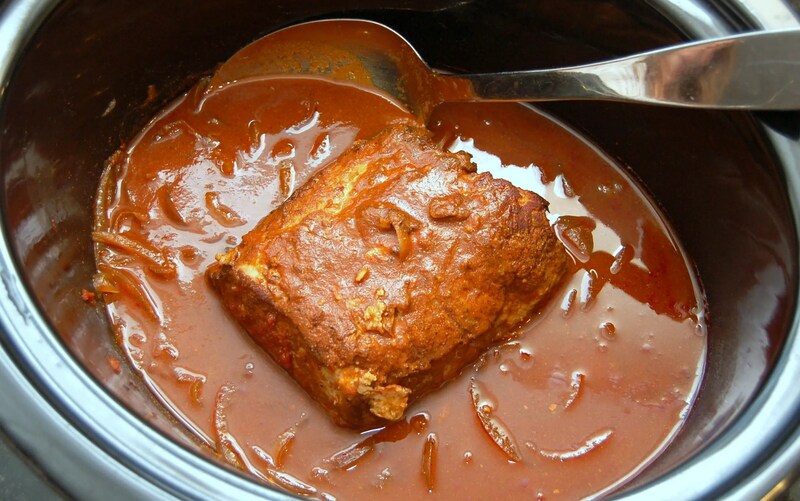 Now spoon some of the sauce from the crock pot back in to the pork. Do it a little at a time. You don’t want the pork too wet or it will make your tacos too soggy. Now build your tacos using coleslaw and tortillas. I like using corn tortillas because I think the flavor goes well with the pork. Works well in the hard taco shells as well! 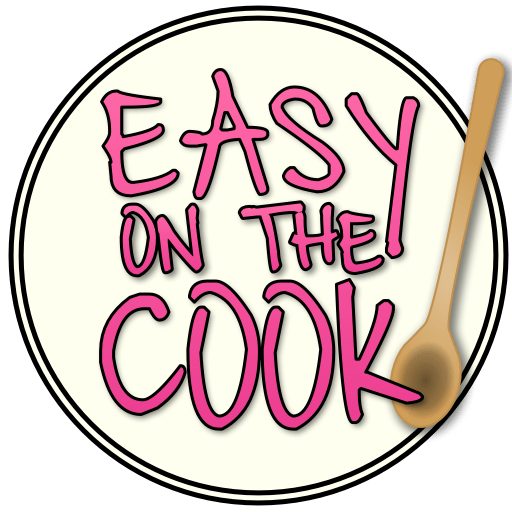 Yummy and easy Pulled Pork Tacos cooked in a crock pot! In a saute pan heat, 1 - 2 tablespoons of oil. Liberally season outside of pork with salt and pepper and sear pork on all sides in pan. Place sliced onions in bottom of the crock pot. Add seared pork, vinegar, spices and tomato sauce. 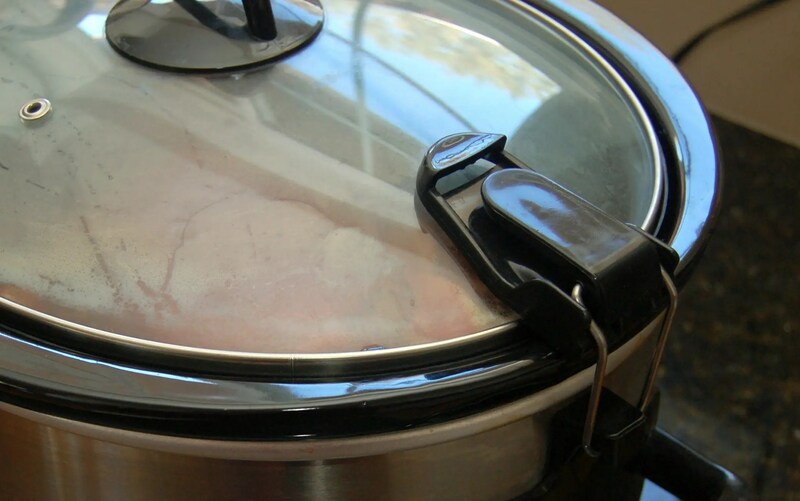 Remove pork from crock pot and shred with two forks. 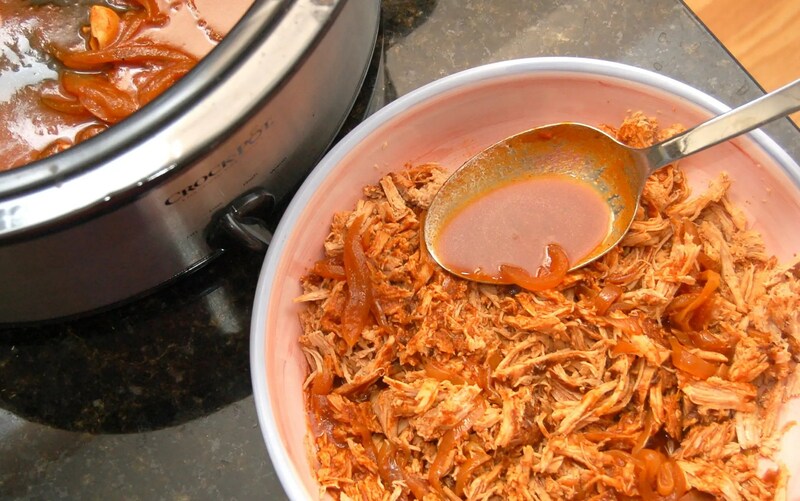 Add some of the sauce from the crock pot back into pork, but not too much, or your tacos will be soggy. 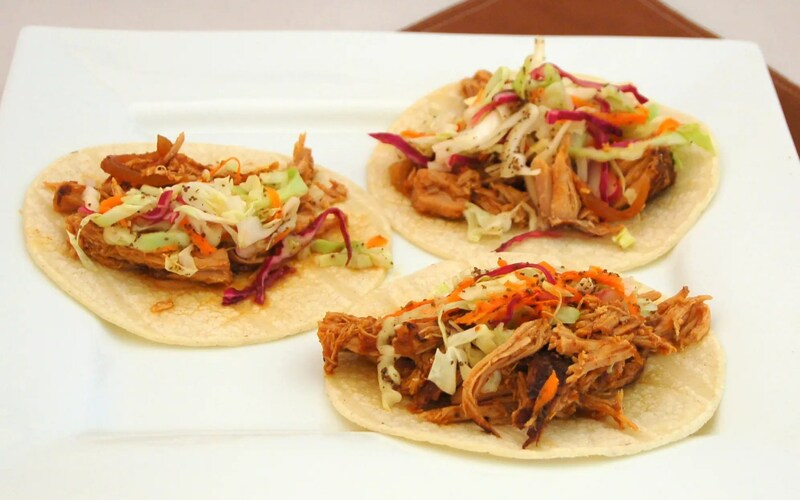 Layer pork on warm corn tortillas and top with coleslaw. I made this over the week-end. It was a hit ! Its easy to make and everyone loved the coleslaw . I’m trying to cut sugar out as well this recipe sounds perfect! 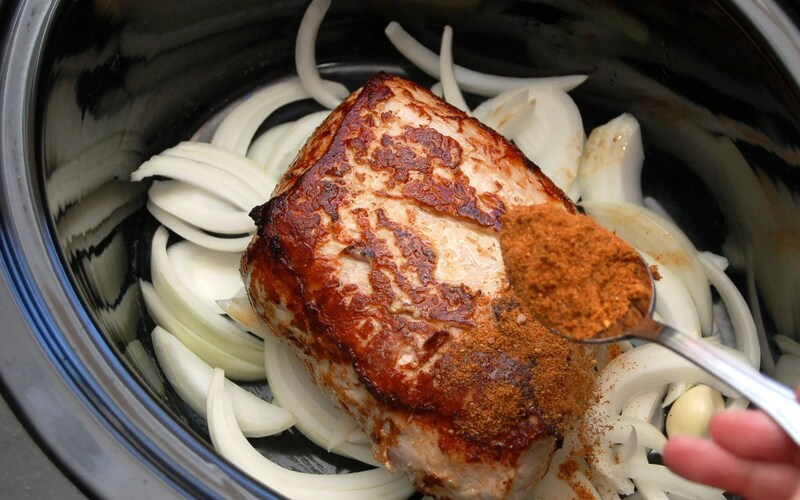 Woah I never knew you could use pork loin to make pulled pork, I’m totally stealing that!